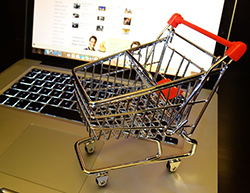 The term "cart abandonment" makes many online sellers a little queasy. Orphaned carts represent lost income. But that income may or may not be lost forever. The purchase could occur down the line or the item(s) will simply remain in the shopping cart. Why do shoppers abandon their carts? We talked to several experts, who shared some common causes and told us how you can curve cart abandonment as much as possible. Adi Bittan, co-founder and CEO of OwnersListen, a site that lets business owners communicate directly with their customers, says one reason shoppers abandon their carts could be that they don't have enough information to make a confident purchase. "Some unknown has crept into the potential buyer's mind," Bittan says. "It could be about size, color or specific features. There are dozens of potential questions and not all of them can be anticipated or included in the limited confines of a Web page." Another possibility: The buyer is shopping at multiple places at once to compare prices and features. "They may have found something just as good (or even the same item) for a better price," he tells us. Mobile also contributes to the problem, he notes. "People are increasingly on the go while they're shopping, and that creates more opportunities for distraction," Bittan continues. "They leave the page to answer a call or because they got a Facebook notification, or maybe they had to run to their next meeting [and] they often never return." Now that we know some of the causes, how do we, as merchants, combat cart abandonment? The first step is to identify the source. Oleg Korneitchouk, director of Marketing for the web agency SmartSites, had some important questions businesses owners should ask themselves. "If you find that your customers are adding the products to the cart but aren't checking out, there could be a sticking point there," he notes. "Do they not trust the store? Is the form too confusing? Are you asking for too much? Are there new fees that the customer didn't see before? All of these are common reasons customers leave their carts and would make a huge impact on your revenues." Ashley Orndoff is the director of Marketing for Visual Impact Group, an advertising agency. She also recommends taking an introspective look at your operation. "If you want to avoid purchases being put on hold, you need to first figure out why purchases are being put on hold and solve those issues," she says. "Are your customers abandoning their carts because your checkout is too long, loading too slowly or confusing? Are there surprise shipping charges? Are your customers using the cart as a wish list for later use because your site doesn't have a wish list function? Once you know the 'why,' you can work on the 'how' to fix it and reduce cart abandonment rates." Frequent online shoppers often get friendly emails reminding them of items left behind in their carts. Orndoff feels these are important. "Sometimes that's all it takes to bring customers back to complete a purchase," she tells us. Marco Massaro, founder of AuraGlow, feels the same way. "Having an abandoned cart email sequence is a must for every e-commerce store," he says. "After all, this is your money so you might as well go after it!" While reminder emails are widely used, some are more effective than others and you should follow certain guidelines when you use them, notes Brendan Tulley, principal consultant for The Search Engine Shop, a business that helps business owners get more traction online. "Most people do these types of emails horribly and just email a discount code with a form email," he explains. "This is akin to a person walking into a retail store, picking up some products, looking around and leaving, and then having a sales person run down the street screaming discounts at them. People laugh when I explain this scenario in our in training workshops, but it's what at least half of the sites we come across are doing." How can you fix this? "Ask the customer if they need help in the first email, instead of just offering a discount," Massaro continues. "A good way to write these email templates effectively is to write them as if you were writing to your best friend." Other ways to lessen abandonment rates is to make it as pain-free as possible to buy. "One-page checkouts are great at reducing time on the checkout process," says Ella Healing, content strategist for Ignition Search, an Internet marketing services company. Retargeting ads or specific discounts for products that customers are looking for are also good options. "I've found that the most effective way to draw these customers back in after they've abandoned a cart is to offer a small discount in the retargeting ad," notes Brian Stumbaugh, digital marketing manager for The Startup Garage, a company that offers services and resource to entrepreneurs. "While we lose a little bit of revenue, it's worth it to gain the sales we otherwise would have lost." Other webmasters and companies take a more technical approach, such as Jeremy Rougeau, founder and CEO of Aletheia Interactive, an online marketing agency. "Make use of Google Remarketing (all formats except for banner ads) and a third-party tool with a robust placement inventory (like SiteScout) to show banner ads to site visitors who didn't buy," he says. "Set up a retargeting email campaign (you should have grabbed the shopper's email the minute they reached your site), and import your email list into a Facebook Custom Audience. Use ad copy that entices your users to come back for an added incentive." Yes, the reasons why people leave their carts behind vary. But the consensus we found is that working to avoid it as much as possible should be a high priority. Whether a business follows up well on abandoned carts may be the difference between one that's successful and one that fails. Ethan Schepp contributed to this article. Hello, Sometimes you have to go to the page just before checkout to find out how much the post is, or whether the item is in stock at your nearest store. If you could do this in the beginning it would save the time and trouble. Most Companies don't push you like that. Thankfully. Many websites don't show all the charges (such as shipping and handling fees) until you put items in your cart and start to check out. So you have to get this far to see what your actual cost is. Often there are surprises, which is usually why I stop. I add a feature that my Auctiva listing service offers. I require immediate payment. Luckily, I've never had a problem with an abandoned cart. I also mention that if the buyer would like additional items to place them in their cart and pay all at once. They almost always do that! All of my fixed price listings have free shipping. I add shipping charges to my auctions, and about one out of ten won't pay even though they won the auction.